Deborah Vannelli began her commercial real estate career almost twenty years ago. Today, Deb is the Director of Net Lease Sales in the Minneapolis-based Upland Real Estate Group, Inc., and she has led her team to complete in excess of 650 net lease sales transactions, which have generated over $1.7 billion. Deb specializes in net lease investment sales on a national scale, representing buyers, sellers, and tenants on the sale or purchase of single and multi-tenant, net-leased investment properties. She has a broad range of clients, including developers, REITs, 1031 exchange buyers, family trusts, and tenants. In this relationship-based business, customer service and lasting connections are imperative, and Deb feels truly blessed that many of her clients have become good friends over the years. Vannelli is a positive person with excellent people skills, who creatively finds solutions to work through any challenges she faces. She is always working toward a resolution which works for both the buyer and seller. In recent years, Deb’s accomplishments have been recognized several times, including a spot in The Minneapolis/St. Paul Business Journal’s 40 Under 40. She was also a 2014 Midwest Real Estate Journal Hall of Fame inductee. 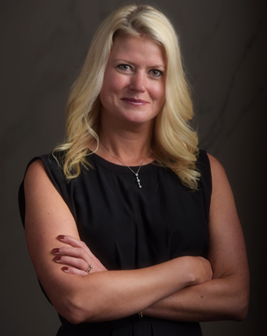 In the past, Deb has served as President of Minnesota Commercial Real Estate Women (MNCREW), Delegate for Commercial Real Estate Women (CREW), and a board member for St. Cloud State Real Estate Alumni Association (SCSU REAA). In addition to being an active member in many real estate associations, Deb is also very active in her community and served as board member for Nativity Home & School. Deb is happily married to Anthony Vannelli, and they have two daughters.